Hospital Evacuation Simplified with the Evac123 Modular Evacuation System from DMS. 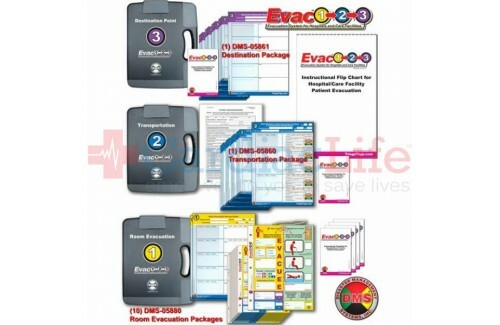 The Evac123™ system integrates your hospital's plan for patient evacuation and tracking with your patient record system. 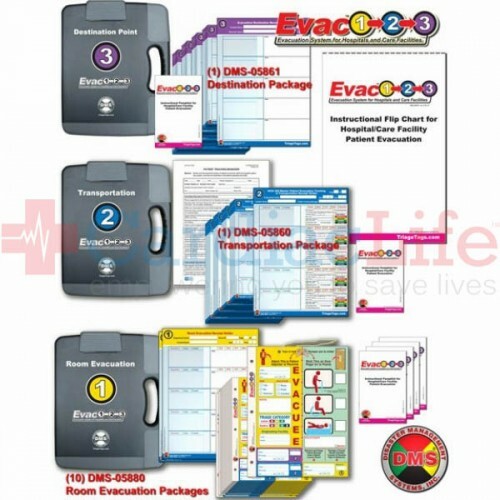 The Evac123™ system was developed to simplify patient tracking by using the internal hospital generated patient labels rather than using separate bar-coded tags which require cross reference data collection in order to be effective.